(Bangkok/Geneva, 8 June 2017) – The Philippines faced international opprobrium on Wednesday at the UN Human Rights Council (Council) where 32 States jointly urged the Government to end extrajudicial killings and threats against human rights defenders. The joint statement, delivered by Iceland called on the Philippines to cooperate with human rights mechanisms by allowing the Special Rapporteur on extrajudicial executions to visit the country without conditions, and to accept and implement the recommendations that it received during its Universal Periodic Review last May. 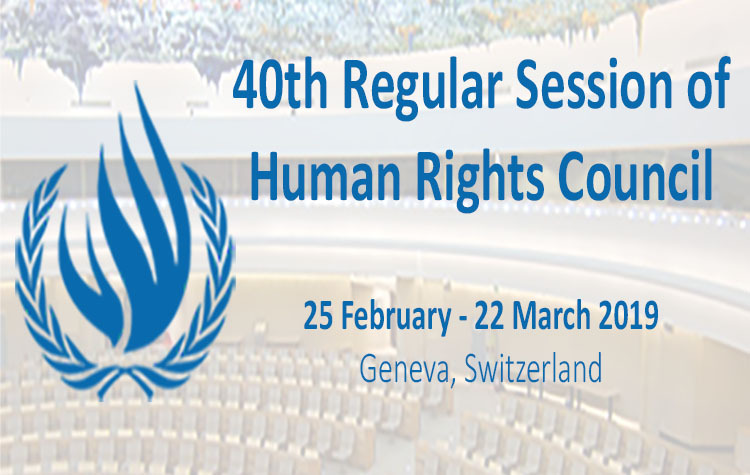 The statement followed a presentation by the UN High Commissioner for Human Rights, Zeid Ra’ad Al Hussein, who expressed concern about personal threats and insults faced by the Special Rapporteur on extrajudicial executions, as a result of her work on the Philippines. Despite a high level of international attention on the human rights situation in the Philippines, the Government has not taken any steps to address concerns. ‘The joint statement on the Philippines by the 32 States shows that there is sustained attention on the human rights situation in the country despite its repeated attempts to deny that there is a problem when defending its ‘war on drugs’ at international forums,’ says Rosanna Ocampo of the Asian Forum for Human Rights and Development (FORUM-ASIA). This latest joint statement comes less than a month after the Philippines underwent its Universal Periodic Review at the Council, when 45 States also drew attention to extrajudicial killings in the country’s ‘war on drugs’.